The official 1000-page report has landed. Its finding: The Irish state is responsible for having forced thousands of young women to labour in Catholic workhouses (“Laundries”), the last of which closed in 1996. The existence of the so-called Magdalene Laundries is not, itself, news. We’ve long known that beginning in the 1760s, Irish women and girls who were deemed “fallen” (think: unwed mothers, prostitutes, or alleged ‘loose’ ladies) or “socially dysfunctional” were forced to toil as slave labourers in a variety of asylums. 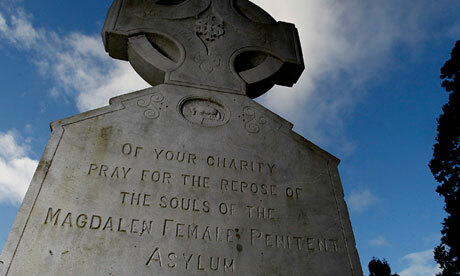 It’s true that these asylums popped up across Europe and North America, but they were particularly numerous in Ireland, where they were known as “Magdalene laundries”–after Mary Magdalene, a prostitute who was redeemed by Christ. 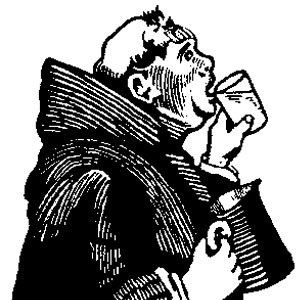 The asylums were often Church-run, and housed either Protestants or Catholics. Sometimes women entered the laundries on their own accord. But many were coerced. For others, the line between free choice and coercion was blurred; women of faith were under immense pressure to atone for their perceived sins. Many women were admitted for petty offenses. And conditions were abysmal. Women–the majority under 23–were left open to all sorts of abuse. And they were not paid for their labours. The women washed linen and clothing from major hotels, the armed forces, etc. But here’s the rub: The Irish state has long insisted that it played no hand in these institutions. This has left compensation-seeking women in the lurch. The new report stresses that indeed about a quarter of the 10,012 “Maggies” who were detained in laundries between 1922-96 were sent by state authorities. What’s more: state officials inspected the laundries under the Factories Act. in doing so, the new report argues, the state illegally helped to oversee the system of forced and unpaid labour. What’s MORE: The state gave laundry contracts to the asylums, in violation of fair wage clauses. And to top it all off: Irish police officers helped to track down escaped Maggies. Or not. At a press conference Tuesday, Irish prime minister Edna Kenny failed to formally apologize for Ireland’s role in the abuse. Surviving Maggies have demanded an official apology and financial compensation. Naturally, my favourite part of the assignment was learning about the history of the matchmaking industry. As the story goes, the first-ever matchmaker made his first-ever match in a village called Charan, in what is now Turkey. In the Bible (Genesis 24), Abraham sends the loyal servant Eliezer to find a suitable wife for his son Isaac: who, at the ripe age of 40, wasn’t getting any younger. En route to Mesopotamia, Eliezer finds Rebekah drinking at a village well and—after subjecting her to a brief test of virtue—brings her home for Isaac. The two married; love ensues. Computer-mediated dating predates Yenta herself. In 1959, a group of students at Stanford University developed “The Happy Families Planning Services:” as a final project for their undergraduate mathematics course. They programmed the world’s first mass-produced computer, IBM 650, to match up 49 men and 49 women—using their answers to a basic questionnaire, which collected information on height, weight, favorite hobbies and religion. 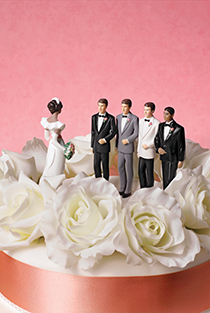 The project—this first effort at computerized matchmaking—received an “A” and resulted in a single marriage. Soon after, Harvard University students launched their own version of the computer matchmaker: this time, sending questionnaires out to campuses nation-wide. But computers didn’t gain a clear lead. The 70s saw the rise (and quick fall) of video-dating: facilitated by companies that would record and short video-clips of prospective daters, and then play them for other potential daters. The 1980s, by contrast, witnessed a resurgence of the printed personal ad—even as computerized bulletin boards were gaining ground. In 1995, Match.com was live and the industry changed forever. The venture—which took the lead from a number of less-successful sites—had some serious backing: a Stanford MBA by the name of Gary Kremen, and his $1.7 million in venture capital. A year later, the US-based site had 60,000 users, though only 5% of Americans had Internet access. By 2012, Match.com, the world’s largest online dating site, claimed 1.8 million subscribers. By some accounts, one in five relationships today begin online. Within the US market, an estimated 30 million customers (1 in 3 singles) use online dating sites. As of 2011, 18-29-year-olds made up 44% of that market, with 30-49-year-olds pulling in 35%. A 2009 study suggests that the average user spends 22 minutes a day online dating. The online dating industry has worked hard for those numbers, evolving in what is sometimes described as three evolutionary phases. Phase 1, which began with Match.com, was about putting personal ads online. Those early sites worked via browsing: eventually, with the help of sophisticated search filters. Users had full control: to filter matches on criteria like religion, height and income level. Or to keyword search for favourite bands, books or travel destinations. Phase II came in 2000, with the inception of eHarmony and its algorithms. A new class of dating sites was born, which touted “algorithm-based matching” and “science-based” compatibility spotting. These sites generally rely on extensive profile-building questionnaires. User control was, to varying degrees, handed over to mystery equations. Phase 3, which began in 2008 when Apple Inc. launched its App Store, took everything from Phase 2, added GPS technology and made it mobile and social. We now at algorithmic-based social-network-linkable dating-on-the-run. My favourite .. History! Revisionism! A Trial? An Apology? 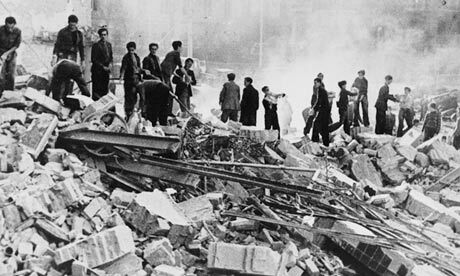 Since the second world war, Italians have seen former Nazi officials pursued in their courts for war crimes, but have rarely debated Italy’s role in the Spanish civil war, when Mussolini deployed 60,000 soldiers and 750 aircraft. We’ve got the usual conclusion: Survivor wants truth to come to the fore. And he wants an apology. Though it should be warn that news stories covering these ‘historical trials’ often pit themselves against a strawman: an episode of history that is alleged to have been woefully forgotten (historians speak of ‘historical amnesia‘) or furtively swept away. I’m not convinced that Italy’s role supporting General Franco in 1938 has been entirely forgotten in Rome. But the effort to wring an apology out of modern-day Italy might prove elusive. In the last fifteen years or so, we’ve said sorry to aboriginal groups forced into residential schools (Canada) or split apart from their families (Australia). We’ve said sorry to countries invaded during war (Japan to South-East Asia, Serbia to Bosnia, Germany to…a lot of states). We’ve apologized for slavery (US, EU), for Apartheid (South Africa), for Colonialism (Japan), for the Holocaust (Germany), and for collaborating in the Holocaust (France). We’ve said sorry for revolutions gone awry (Russia), for genocide and for looking away while genocide was taking place (US, Canada). Our apologies are for isolated incidents (wars, murders, genocides) and for long-term, sustained systems of oppression (slavery, racial discrimination, oppressive political regimes). 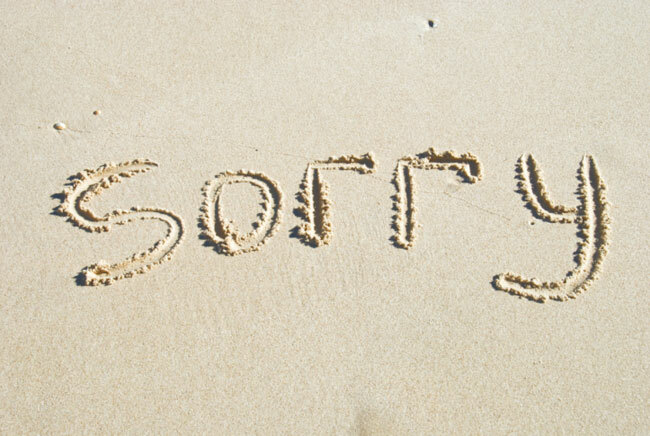 We’re sorry to Jews (Germany, Vatican, Switzerland), to migrant children (Australia, Britain), to Aboriginals (Canada, Australia), to political protesters (Britain), to and to homosexuals (Cuba, Germany). I also considered the purpose of apologizing, and whether a state apology can ever be more than a token act. Intellectually, I’m still ambivalent. But my non-gradschool-appropriate shrug-it-off tendencies dominate here: if the victims want it, the state should provide it. I’m sorry. The Falkland Islands are back in the news. One one side of the court: Argentina, accusing Britain of exercising “19th-century colonialism” over the wee South Atlantic archipelago. On the other side: British leaders are flexing muscle–and threatening a fight, if Argentina messes with its territory. The British government’s latest military maneuver seems fresh out of a Monty Python sketch. 150 British infantrymen who just returned from a tour in Afghanistan’s conflict-riddled Helmand province are being redeployed to the Falkland Islands: a landmass roughly the size of Connecticut, and some 8000 miles from Britain. They will join more than 1000 British service personnel who permanently hold down the South Atlantic fort—along with four Typhoon jets and several Navy vessels. David Cameron didn’t miss a beat: quickly appearing on the BBC to remind us all that the Islands are an overseas British territory—and to declare his “extremely strong” resolve to keep it that way. 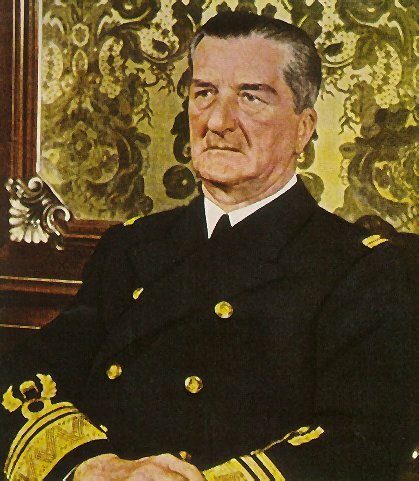 British military chiefs have reportedly “drawn up new contingency plans to prevent hostile action by Argentina,” London’s Telegraph reports. Of course, we’ve been here before. 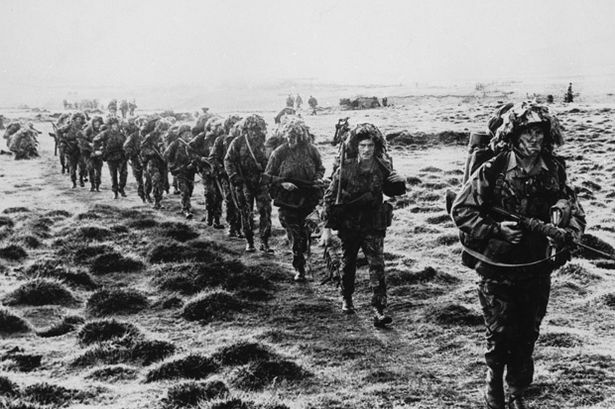 In 1982, Britain and Argentina went to war over the Falklands. Argentine troops occupied the area for ten weeks before British troops reclaimed it. Some 250 Brits and 650 Argentines lost their lives. The Islands have been under British control since 1833, after changing hands several times in the 18th-19th centuries. Argentina claims to have inherited them from Spain. Memories of 1982 are certainly guiding Cameron’s hand, says Graham Stewart, author of A History of Britain in the 1980s. That year, prime minister Margaret Thatcher’s firm action during the Falkland War helped solidify her political support—and shape her legacy. “Cameron is clearly aware of the legacy,” says Stewart. About 3000 Falklanders live on the Islands. Most make their money on fishing or wool. Though a British territory, the Islands has its own government and constitution. But as of late, Argentina has appeared increasingly belligerent on the Falklands issue. This might have something to do with the commercial quantities of oil that have recently been found around the Islands. Kirchner has been accused of orchestrating a 2011 decision by the Mercosur bloc (which includes Brazil and Uruguay) to close its ports to Falkland ships. 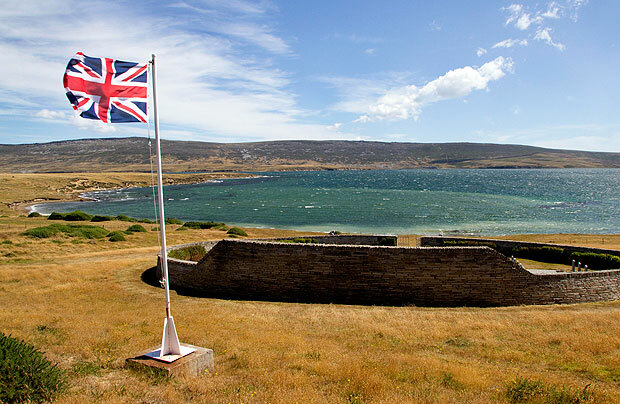 As tensions escalate, Falklanders are preparing for a March referendum: on the issue of their territorial status. Elsby anticipates that “at least 98%” will vote to remain a British overseas territory. Extra! Extra! At an inter-faith prayer meeting in Italy, Pope Benedict acknowledged “with great shame” that Christians have committed violence in God’s name. 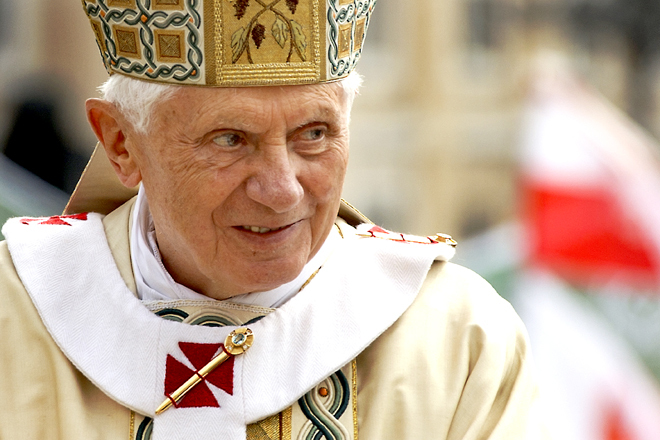 Interesting fact #1: Pope Benedict refused to attend the same inter-faith meeting in 1986, when he was a cardinal. He later criticised the gathering for implying that all religions are equal. And still, most states have failed to eek out a single ‘I’m sorry’ for women. Are apologies like the Pope’s necessary acts of atonement? important components of any historical record? empty token? symbolic gestures? War author Sebastian Faulks said the tone of events must be ‘modest, inclusive and reverential of others’ – while a source on the planning team said ministers are keen ‘not to upset the Germans’. The union flag waves in Belfast today, to celebrate the 31st birthday of the Duchess of Cambridge. Republicans – who, for the better half of a century, have been fighting to sever their ties to the British crown – are not pleased. 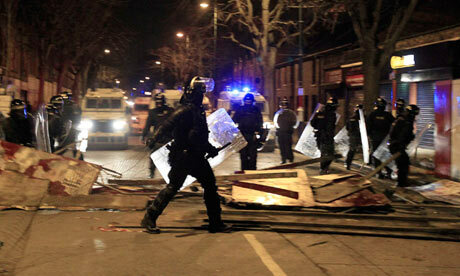 But loyalists too claim to be under siege. Last month, Belfast’s city council voted to reduce the number of days that the union flag would fly at city hall: from everyday, to just 18 designated days. That move inspired a typically Northern Irish response: parades, petrol bombs, dozens of police officers injured, and over 100 arrests made. Each side claims that the recent unrest is sign of bolstered support for its cause. In September, I traveled to Belfast for Maclean’s to report on an uptick in sectarian strife. Again: protests, brick-throwing, injured cops, middle-aged fathers in jail. Ah, I do The Troubles. But beyond my vague understanding that Protestants and Catholics had long fought – and that their fighting had ended in a ceasefire – I didn’t know much about The Troubles. And I certainly new little about how Northern Ireland functions (and doesn’t) today. My piece from September paints a portrait of today’s Belfast. And it might help explain this kerfuffle over the Duchess’s anniversaire. That notion—that the country’s Troubles have not quite passed—is hard to get away from here. Though almost 15 years have passed since the last ceasefire agreements were signed, Northern Ireland’s peace remains an uneasy one. Geographically, Belfast is even more segregated than it was in the 1960s. Woven through the city’s patchwork of religious enclaves are almost 100 “peace walls”: hulking stone barriers that separate Protestant and Catholic neighbourhoods. Over 90 per cent of public housing is segregated, and the vast majority of Northern Irish children are educated in segregated schools, leading some academics to speak of a self-imposed national “apartheid.” As Northern Ireland sinks deep into recession, its government spends over $2 billion annually on duplicate social services—one system for Protestants, one for Catholics. Residents of a small Hungarian town have failed to stop a park from taking on the name of the country’s Nazi-allied wartime leader, after too few voters turned out for a referendum. Today in The Guardian, a look at the enduring cult of Il Duce. 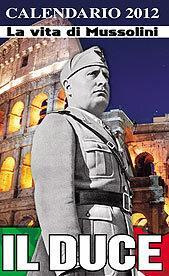 Sixty-eight years after the fascist dictator was strung up with piano wire from a petrol station in Milan following his crushing of Italian democracy, his racist laws and his disastrous alliance with Adolf Hitler, Mussolini has quietly taken his place as an icon for many Italians. Holocaust Holograms. I love this. Should History Classes be Mandatory?